Research supports the use of music therapy as one of the effective activities for dementia patients. As we listen to or perform music, neural pathways all over our brain light up. Whenever I went to see my grandmother in her nursing home and my visit coincided with a guest musician playing in the activity room, she insisted that we go. She loved these events, and I loved them too. It was cheering to see the room light up as residents came to life, bobbing their heads in time with the music, singing along to the lyrics, smiling when they heard their favorites, and shouting out requests in between songs. These were the times I saw the most joy in the residents, including my grandmother, and it was heartwarming. But is the use of music in nursing homes just a way to bring joy to the residents, or does music have more profound impacts than that? In particular, does music affect memory, and is music therapy effective in treating dementia patients? Research supports the use of music therapy as one of the effective activities for dementia patients. As we listen to or perform music, neural pathways all over our brain light up. In fact, nearly ever region of the brain is involved in musical activities. Music stimulates connections between both sides of the brain and activates brain areas associated with emotional, cognitive, and memory processing. Music therapy should be considered as one of the more effective activities for dementia patients. In music therapy, patients may be asked to listen to, perform, compose, or improvise music. This can include anything from listening in on a concert to attending a group sing-along. This kind of therapy can affect emotions, stimulate cognitive functioning, and help with memory, as well. And it does so without medications that can be risky to use. 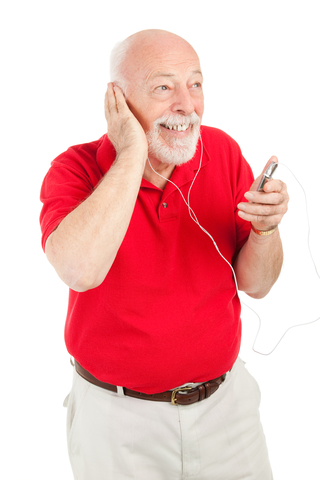 Does Music Affect Memory in Dementia Patients? In many patients with dementia and Alzheimer’s disease, memories related to music can far outlast other memories, and listening to music can stimulate the recollection of autobiographical memories and enhance verbal memory, as well. In some cases, patients with dementia will be able to recognize emotions through listening to music, even when they can no longer do so through voices or facial expression. In late stages of the disease when it becomes difficult to form words and sentences, listening to music may make it easier to overcome these kinds of language deficits. In one small study, singing familiar songs elicited conversation between patients as well as recall of memories. One study found that when music was played in the background, patients with dementia showed increased positive behaviors such as smiling and talking, and decreased negative behaviors like agitation and aggression towards others. In another, music therapy sessions of one hour twice a week for eight weeks resulted in an improved emotional state, reduced behavioral problems, and reduced caregiver distress. If you or someone you know is suffering from memory loss or has dementia or Alzheimer’s disease, you may consider music therapy as a treatment option. Certified music therapists are trained to use specific techniques to help patients with dementia. Does music affect memory in your opinion? Have you ever tired music therapy? Share your thoughts on using music for dementia treatment in the comments section below. This article was originally published in 2015. It is regularly updated. J Music Ther. 2014 Summer;51(2):131-53. J Psychiatr Ment Health Nurs. 2014 Dec;21(10):879-88. J Music Ther. 2007 Winter;44(4):329-43.
activities for dementia patients, alzheimer, alzheimers, anxiety, brain, cognitive function, dementia, dementia treatment, depression, depression anxiety, does music affect memory, health, helps memory, memory, memory loss, mood, music, Nursing home, tired. My favorite use of music is for exercise. Studies show that you can work out longer and harder if you’re listening to music you enjoy. My favorite work-out song right now is “Til the Love Runs Out” by One Republic. but i donnot like music . what should i do? I have epilepsy and memory problems too. I am almost 60 and noticed memory loss since I was 30. This gives me some hope, older memories like learning to play the piano when I was 16 is still stored in my memory banks I am going to see. Hi, I am just trying to say that this part of your article has a wrong word.